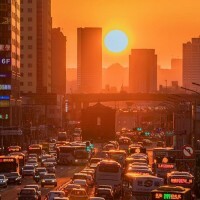 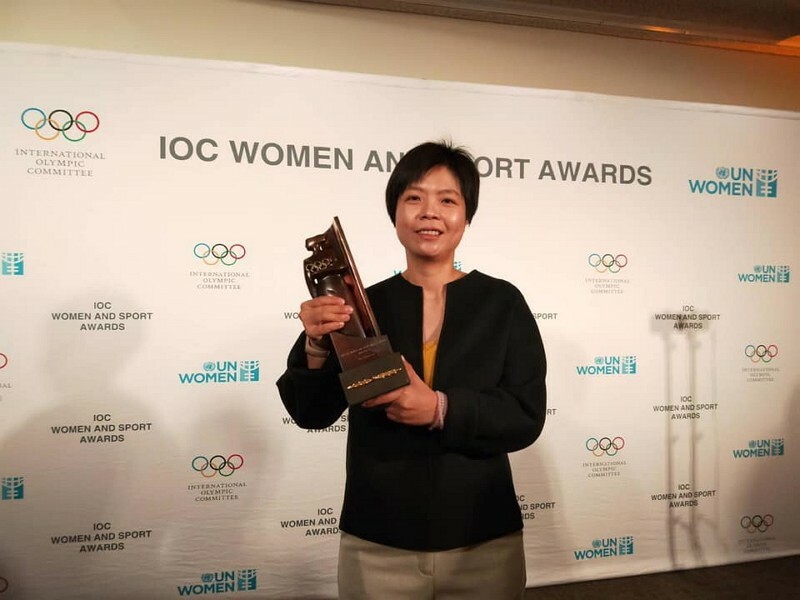 TAIPEI (Taiwan News) – A female baseball umpire from Taiwan has received the “2019 Women and Sport World Award” by the International Olympic Committee (IOC) at the United Nations Headquarters in New York, the first Taiwanese to be awarded the honor. 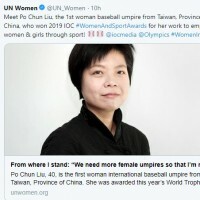 Liu, the first certified female umpire by the Chinese Taipei Baseball Association, is probably better known as the source of inspiration for widely-acclaimed HBO Asia mini-series “The Teenage Psychic” (通靈少女), which tells the story of a 16-year-old girl with psychic abilities and the temple culture in Taiwan that mixes Taoist and Buddhist beliefs as well as Chinese folklore. 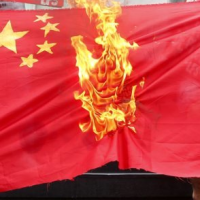 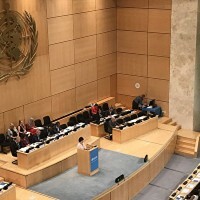 Overwhelmed by the honor she received, Liu noted that it has been a difficult task to “strike out gender discrimination” and that female leadership can hardly be achieved without exerting tremendous effort.